Today around 4 pm I felt a huge wave coming into my consciousness. This wave wrapped around my entire body enveloping me in it’s light. I felt dizzy for a few minutes and out of balance. I was sitting in my living room talking to my daughter when it occurred. We were going over future plans and suddenly the wave struck me. I had to tell her “hang on there is a wave coming in right now”. This is not the first time she has heard this line from me. She waited until I composed myself and I was able to get back into the conversation. Since I have been feeling these waves for so long I can easily recoup when they take place. This is vital going forward that they serve their purpose and then we can move on from them. This is the same for all symptoms of ascension and anything psychic that takes place. We must acknowledge and respect the upgrades as they come in. When these waves come in, they take over the whole body and consciousness. There is nothing a person can do but to pay full attention to them while they last. This one lasted about 5 minutes but they can be longer or shorter. They vary in length and intensity depending on what the light codes are for the wave. This wave in particular was upgrading our systems to prepare for the next waves to arrive. There will be more waves coming in the days, weeks and months to follow. More and more will feel these waves as they become more sensitive to ENERGY. For those that already feel the waves, be confident they hold the codes we need to ascend. Feel the waves, integrate them and then move on. Energy is what the entire Universe and every being is made of. We are all electrical energy manifesting as matter. The core of who we are is the electrical Divine essence which flows inside each one us. As more awaken they will awaken to who and what they really are. Today and yesterday we are also experiencing geo storms that are causing many ascension symptoms. One of the most pronounced has been extreme tiredness. Along with this is intense thirst and hunger. (Although these symptoms have been in place since the shift of last month.) Intense body heat and sleep issues as well as lucid dreams as we change dimensions. As with all space weather we must not resist but instead embrace these changes as they come. We welcome them because it is through these symptoms that our DNA can be upgraded and our lives can ever be changed through expanded consciousness and the merging with the Divine Creator. We are still in adaption mode from the Dimension and Timeline Jump of last month ( and that continued) that I announced as it came in. This was an extreme jump in consciousness for all beings on planet Earth and in the entire Universe. This is still continuing as we process new waves of light with new encasements that come to us. You may feel different now and indeed you are. You are vibrating at a higher frequency of light and in doing so you now have access to more of reality than before. Answer to questions will come quicker to you. Psychic abilities will start to come on line or become more enhanced. You may see beings from other dimensions and if you do- no worries they see you too. 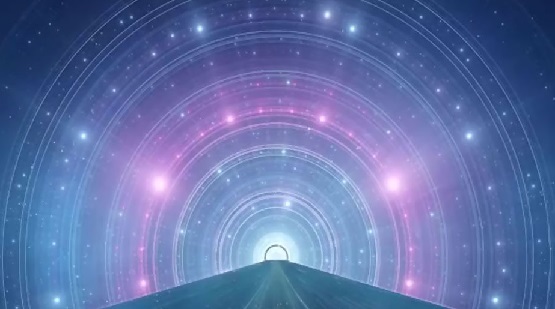 Do not go into fear mode as this will lower your frequency and you will not longer be able to see the higher dimensions as much as you could have. As we are shifting many will begin to experience new abilities they had not had before. They will be able to tell the truth from a lie. They will need to reprogram themselves in order to understand how the higher dimensions work compared to 3D. They will no longer be able to run the programs of 3D. They just will not work anymore. Love and compassion are the staples of the 5D and above. One of the ways to know you are in a higher dimensions by how much self love you have. The 3D world is a self love squasher. It is designed this way to keep everyone at a lower frequency. Each of us is unique and has our own qualities and strengths. In 3D the goal is to be the same and conform to what the controllers want. In 5D we are our unique and beautiful selves contributing in whatever special gifts we have. There is no stress or pressure to conform. Everyone is encouraged to be WHO they really are and their authentic selves. As we keep jumping dimensions we get closer and closer to the Crystal Realm of light. Our consciousness transforms first, then our bodies start to catch up, each at intervals so we don’t do too many upgrades at once. It is all a Divine Plan of Creation. Reality is not fixed but instead fluid and as we traverse other dimensions, many are starting to wake up to this fact. As we change and wake up, the world around us then changes and we create the 5D world we want. The Light awaits you to jump in and experience the Universe for yourself ! Once upon a time, you were caught up in a whirlwind of non-accountability. You declared yourself a leaf in the wind, at the mercy of every wind that did blow. You declared yourself free game. You let the world take you over. You took the line of least resistance and let yourself be buffeted by any breeze that blew. This is Gemini season like you’ve never experienced. (That’s something I probably don’t have to tell you.) Astrologically, it’s like you’ve been patched directly into a six-way cosmic conference call — between most of our our solar system’s major planets and the almost incomprehensibly immense transformational vortex that’s at the heart of our galaxy. Your field is one of the spaces where energy so high-frequency that it bends reality is being transmitted — and received. in my last post called “When will they ever learn? Obedience versus Self-Responsibility” I shared my feelings about a collective need for the individual human being to become politically aware, and to follow this awareness with authentic actions. During one of the conversation which emerged from my sharing on facebook, a fellow blogger called me “brave” for how I expressed myself, which made me think. I wondered why anybody would experience my writing as courageous, while I myself simply feel in flow and aligned with what wants to be shared. And it made me curiously thinking about all the other channels and artists, and about how they receive and experience their art. I myself love to sing. I had a bit of professional training and feel very confident to allow my voice to be used by the universe, when I am giving a treatment or am holding space in a ceremonial space. I love writing – obviously, and am not shy sharing without controlling what appears on my screen. When a friend of mine send me a message with this beautiful text, I immediately experienced a intense rush of energy flowing from my head to my toes. I had to get up from my lazy sitting position, straiten my back – activate all my conscious breathing abilities, and make sure to catch the vibration deep within my body. This is how I know that an article wants to be written or shared, and where there is collectively important information stored right now. “This is precisely the time when artists go to work,” Toni Morrison wrote in her electrifying case for the artist’s task in troubled times. But in such times of civilizational trauma, when the book of life itself seems to have come unbound, where are artists — who are not only human but perhaps the most human among us — to find the fortitude of spirit necessary for rising to their healing task? Illustrator Wendy MacNaughton and writer Courtney E. Martin offer a heartening answer in a collaboration that stands as a mighty manifesto for our time and a testament to the only mechanism by which the creative spirit has ever pulled humanity out of every abyss of its own making. And what did other artists come up with? Kurt Vonnegut Jr. Dear Ones, Alice Walker ones said “Deliver me from writers who say the way they live doesn’t matter. I’m not sure a bad person can write a good book. If art doesn’t make us better, then what on earth is it for”, and I have to agree entirely. Being in touch with the creative energy flow within is a very healthy version of directing our power for creation, into collectively important actions for the Golden Age of Humanity.